Our custom fences and gates are made from the highest grade materials and are built to last for years. Our beautifully designed custom fences and gates are made from the highest grade materials and are built exceptionally tough to give you security and peace of mind for years. Our own in-house professional designers will work with you to create a fence that's perfectly matched to suit your property's architectural style and landscaping. 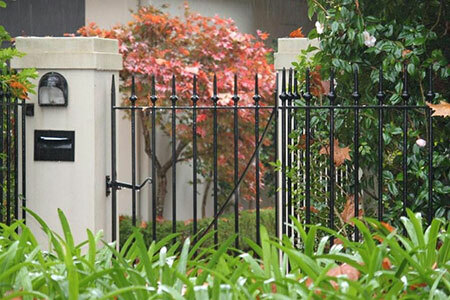 The prefect job starts with the best materials and at Gateway Fencing, we only use the highest quality Australian glass and 316 marine grade stainless steel. It's the little things that make the Gateway Fencing difference and separate us from the rest. From the moment we start, our attention to every detail is assured. We can custom design and build your new garden or boundary fence in a style and budget to suit you. 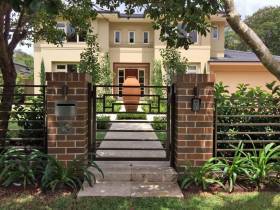 Make an opening statement with a gate custom designed and built with flair. 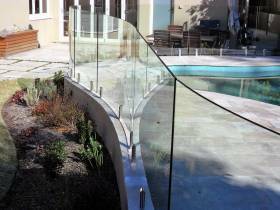 Stunning glass fences to keep your family safe and add style and value to any home.